She travelled the farthest to attend The Delta - Everything Southern conference at University of Memphis. Laura Sanderson Healy was in Rome when she read about the conference on this website and flew to Memphis to attend. 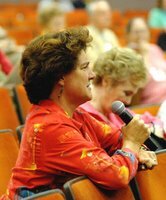 Healy, who grew up in Memphis, now lives in Los Angeles, but the lure of the MS River and this area are in her blood. The Delta conference was huge success. 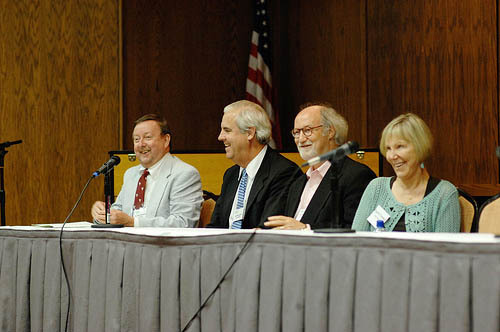 Speakers included (pictured left to right): anthropologist Sam Brookes, attorney Bill Luckett, journalist Curtis Wilkie, and art history professor Carol Crown. Filmmaker and author Willy Bearden, Blues pianist and singer Edent Brent, and oral historian Owen Brooks rounded out the list of fascinating, entertaining speakers. Click HERE for their short bios. It’s an annual event, so next year, whether you’re in Memphis, Clarksdale, New Orleans, or Rome, put the conference on your calendar.